The summer season is just around the corner. After going through a very long period of Arctic Vortex, it is time to finally welcome the summer. But this season brings lots of tension for the driver as well as the maintenance team of the Moffett Forklifts. The whole lift can stop working. Worn out controls of the forklift. Too much high temperature in the cabin. Our maintenance crew at Bobby Park makes sure that the people who buy the forklifts are given advice on how to take care of the vehicle as summer is relatively hotter in Tuscaloosa compared to other cities in the state of Alabama. Special care must be taken to ensure that the machinery runs smoothly. It is recommended that the below-mentioned tips must be followed at least once a week. But during the summer the driver himself must inspect the forklift to be certain that there is no problem or damage done before you start to operate it. Before you start your day’s work it is crucial that you properly check each and every part of the Moffett Forklift. There are many devices and tools by which you can check the working of the whole vehicle. Also, templates are available that can help you to test the forklift and its working. The heat in the summer can lower the level of different fluids in the battery. You have to inspect the battery on a daily basis because the water and other fluids can evaporate causing the whole vehicle to stop. For the smooth running of the forklift, oil quantity should be examined on a weekly basis. Not only the level of the oil must be examined but also whether or not the oil is old and needs to be changed. Too old oil effects the functioning of the vehicle. How to avoid overheating of the engine? It is quite simple, by checking the balance of the coolant in the engine. Also, wear and tear of the engine are necessary because if there is any damage to the engine then whatever liquid you will pour into it will spill from the cracks. Worn out tires is a hazard not only to the forklift but also to the driver as well. These damaged tires can cause major accidents and also stop the progress of the business you are using the forklift for. Immediately, change the tires that have spent their lifetime. The forklift that is attached to the cab should be in proper shape and well maintained. Any problem in carriage, fork or the mast will not allow free movement. Regular or weekly oiling of the parts must be done to ensure that the motion is without restriction. 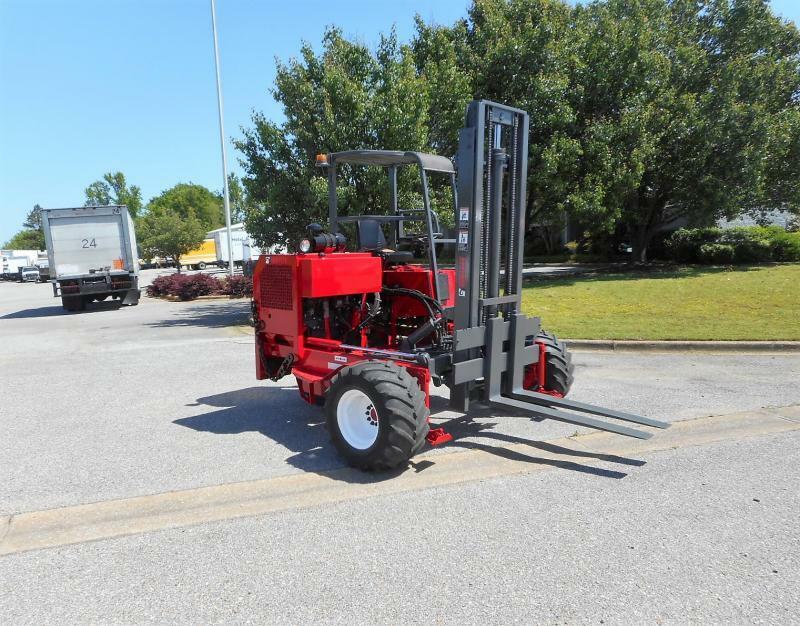 The maintenance team at Bobby Park will help the people have bought second hand Moffett Forklift in the Tuscaloosa, customized services for the type of vehicle you have. You can come and visit the shop or call at 800-797-8149.